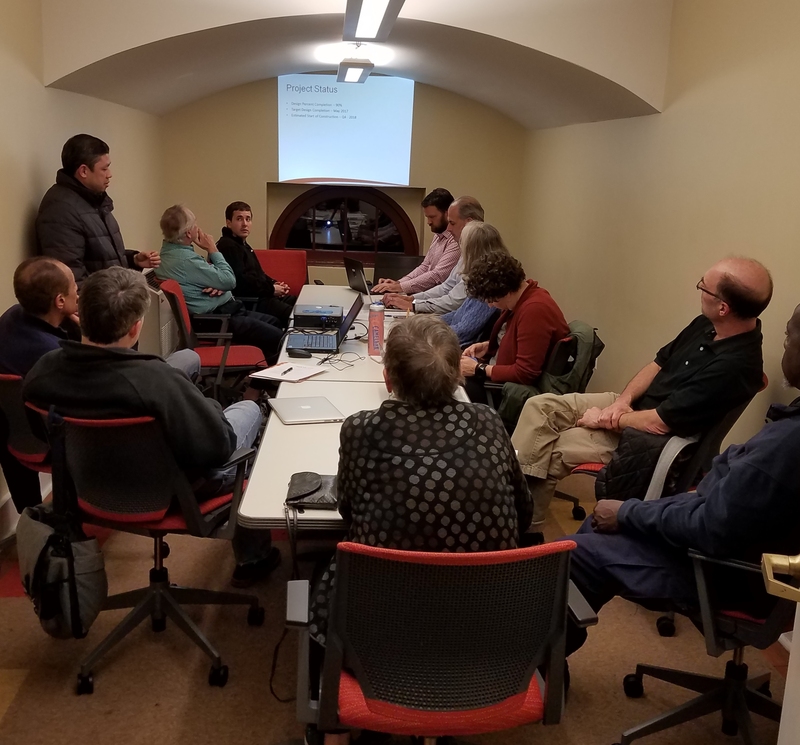 Last night, ANC6B’s Transportation Committee, meeting in Hill Center, heard a presentation on DDOT’s proposed Pennsylvania Avenue, SE, lighting project. Wednesday night, ANC6B’s Transportation Committee, heard an overview of DDOT’s design of the Pennsylvania Avenue, SE, lighting project from Sherwin Baga, P.E., DDOT Transportation Operations Administration (standing at left above). Recently installed LED lights have been found to be inadequate and streetlights on Pennsylvania Avenue from 2nd Streets, SE, to Barney Circle, SE, will be replaced with more distinctive lighting poles and elements. The Project will begin in the 4th Quarter of 2018, and will take one year. The project will be disruptive for work area as it progresses, involving the closures of sidewalks and restrictions on parking, but will not cause an interruption in lighting of the streets and sidewalks. How are the current lights inadequate? Too dim, wrong style, not enough?